Hard to get a good focus on seeds. Tricomas are a plants sunscreen. The closer to the sun, or the higher the elevation the strain is from will determine the size and amount of tricomes. Usually the higher the altitude more tricomes. Do they just reflect sunlight. I read somewhere that they might also act as small radiators to reduce heat. It is protection from uv light. Thats why u.v light is so important in the grow room. Thats why indoor weed is frostier than outdoor. I believe heat is addressed through the stoma in the leaf not the tricomes. Buy a piece of greenhouse plastic with u.v protection. take a clone and put it outside under the u.v free plastic and you will see what I mean. So, what you are saying would indicate that the plant would not deploy as many trichomes if there is less UV light? Hmmm. In order to minimize heat, the roof panels reflect away 90% of all UV light. The walls do not. exactly what I am saying. What I have noticed over the years is that sea level plants have smaller and less tricomes than high elevation plants. Not saying sea level plants are inferior, just that the physical size of the tricomes are smaller. Fun fact, trichomes are larger on larger plants. Ha! Ha! This made me spit coffee. Ha! Ha! I wish that were true! I am the kind of person that would veg a plant for a couple years just to have big fat 1 gram tricomes. 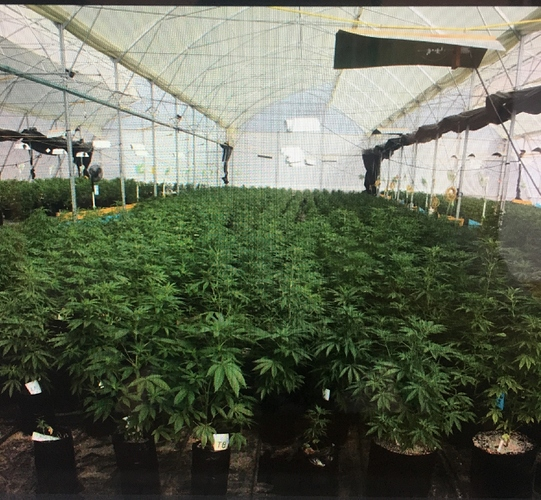 According to SkunkmanSam on Hash Church, large plants grown in a greenhouse yield more 120u heads than smaller plants which yield more 90u and 73u. I wasn't trying to be funny, but I'll take humour where I can find it. don't know them but it could be possible. To the natural eye, no difference. What size is 'large' and what size is 'small'? 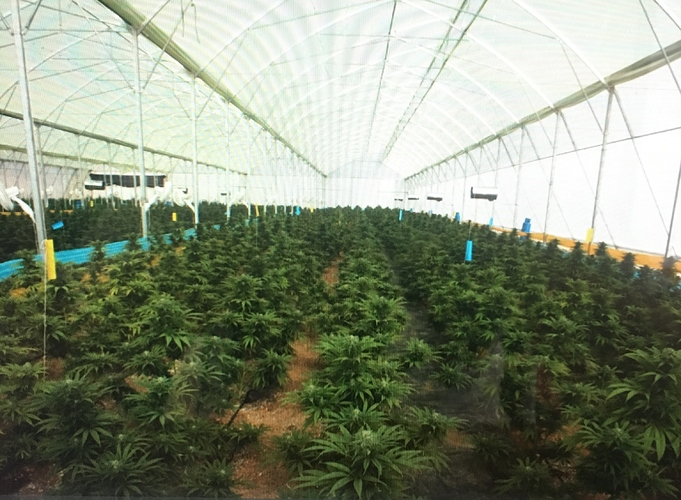 There is some study floating around out there that showed the presence of UV light did not affect potency or ratios of cannabinoids, I"m too lazy to go find it! I remember the authors said they thought UV might have more influence on terpenes in cannabis. In other some other plants UV is more important. Its a little late to check on the size of these. The difference was seen by sifting the resin heads with different sizes screens. The difference is only about 25 microns. For reference, a human hair averages 100 microns in thickness. "Large" in this example would be 120 microns, "small" would be 90-73 microns. The difference is small, but consider the volume of a sphere increases with the radius cubed. So the 120 micron trichome has a volume almost 1000 x greater than the volume of a 90 micron trichome. This only really matters if you're making extracts IMO. I was more asking about the size of plant that would produce large or small trichomes. Is 'large' over 20 feet? 8 feet? 3 feet? Is it plant age age dependent or based on veg time? Does the same rule apply to clones or just plants grown from seed? Who's? I've only ever seen a green one maybe twice, and the flowering time is very quick. Always been an 8 to 9 week finisher for me as well.